Because they have identical genomes, identical twins are ideal subjects for studying the effects of epigenetic modifications - changes to the DNA which control the expression of genes but not the DNA sequence itself. 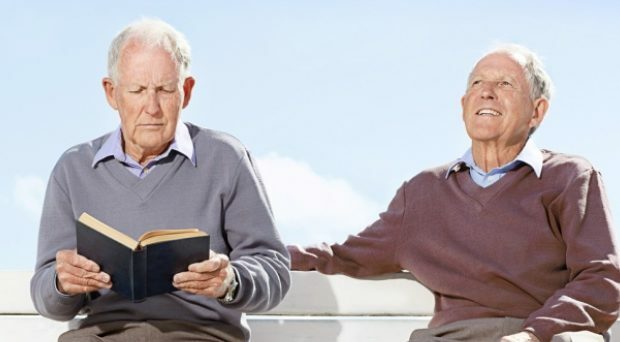 A recently published study in Genome Medicine looked at 79 pairs of identical twins, where one had rheumatoid arthritis but other did not, to explore possible epigenetic factors associated with the condition. Identical twins have identical genomes, but different epigenomes. Rheumatoid arthritis is a common and complex autoimmune disease which can have a huge impact on the quality of life of people who suffer from it. There are many factors which are known to influence the development and progression of the disease, including genetic and environmental factors such as smoking. In recent years, over 100 genetic variants (referred to as single nucleotide polymorphisms) have been identified which play a role in the development of rheumatoid arthritis; however, this still only explains a small amount of what causes the disease. The relatively high rates of discordance of developing rheumatoid arthritis in monozygotic (genetically identical) twins indicate that environmental factors play a substantial role in the etiology of the disease. One way in which environmental exposures can influence disease is through epigenetic modifications of DNA. Epigenetic modifications control which genes are switched ‘on’ and ‘off’ in a particular cell or tissue. This is important in the regulation of tissue development and is critical in determining cellular identity. Epigenetic marks in the DNA can be altered by many different things, including environmental factors such as diet, exercise and smoking. While many epigenetic changes are normal and happen during healthy development and ageing, epigenetics can also be disrupted in diseases. Studying twins allowed us to see DNA methylation changes clearly, as we can be sure they are not confounded by differences in the DNA sequence. In order to investigate if epigenetics was disrupted in rheumatoid arthritis, we compared the pattern of one type of epigenetic modification, DNA methylation, in people with the disease to that of healthy people. We did this by looking at the epigenome of 79 pairs of monozygotic (identical) twins, in which one individual had rheumatoid arthritis, and the other was healthy. This is the ideal setup in epigenetic research, as epigenetic patterns can be influenced by the underlying DNA sequence. Studying twins allowed us to see DNA methylation changes clearly, as we can be sure they are not confounded by differences in the DNA sequence. Essentially, monozygotic twins have identical genomes, but different epigenomes. In this study, we found that the DNA methylation patterns in the twins with rheumatoid arthritis were more variable at 1,171 sites, meaning they were less predictable and stable than the methylation profiles in the healthy twins. This could represent a disruption of epigenetics that is either causing rheumatoid arthritis, or could be a consequence of people having had the disease for a long time. In particular, we found that the DNA methylation changes were seen in genes involved in pathways within a cell that control the reaction of cells to stress. Cellular stress can be caused by many factors, including exposures such as smoking. We believe that these changes in DNA methylation may be altering how the immune cells react to stress, which sensitizes the cells, causing an increased immune activity, consequently leading to progression of the disease. We compared these marks with epigenetic disruption which was identified in Type 1 Diabetes, and found that the two diseases shared certain epigenetic changes. This indicates that there could be common factors which influence the epigenome, contributing to both of these autoimmune diseases. In the future, these findings could provide insight into how rheumatoid arthritis could be treated or even better, prevented from developing in the first place. Dr Amy Webster is an epigenetics enthusiast and research associate at the UCL Cancer Institute. She specializes in research into the epigenetics of common diseases, with a special focus on personalized medicine.